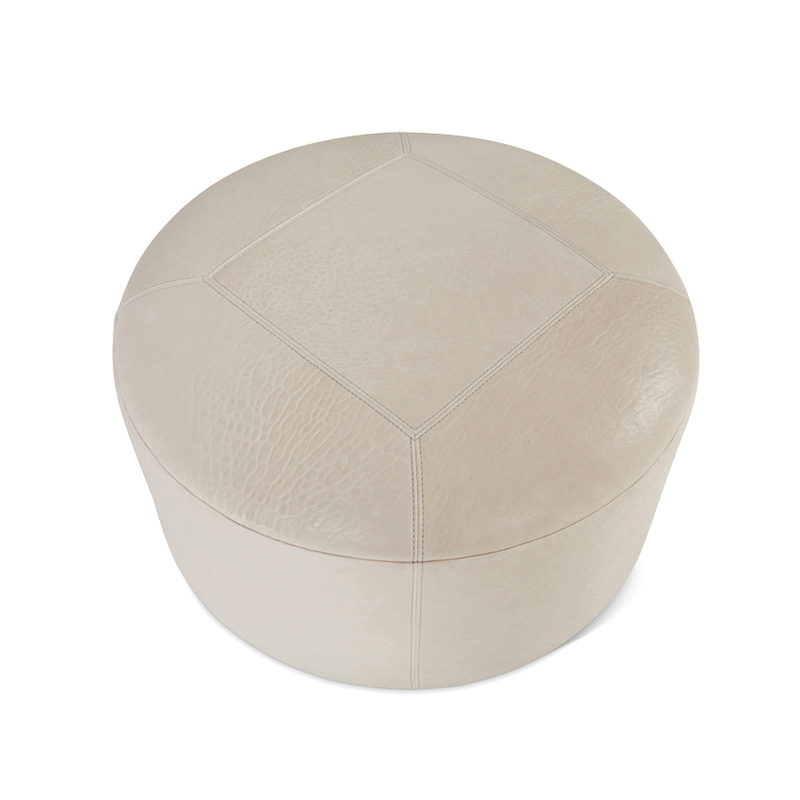 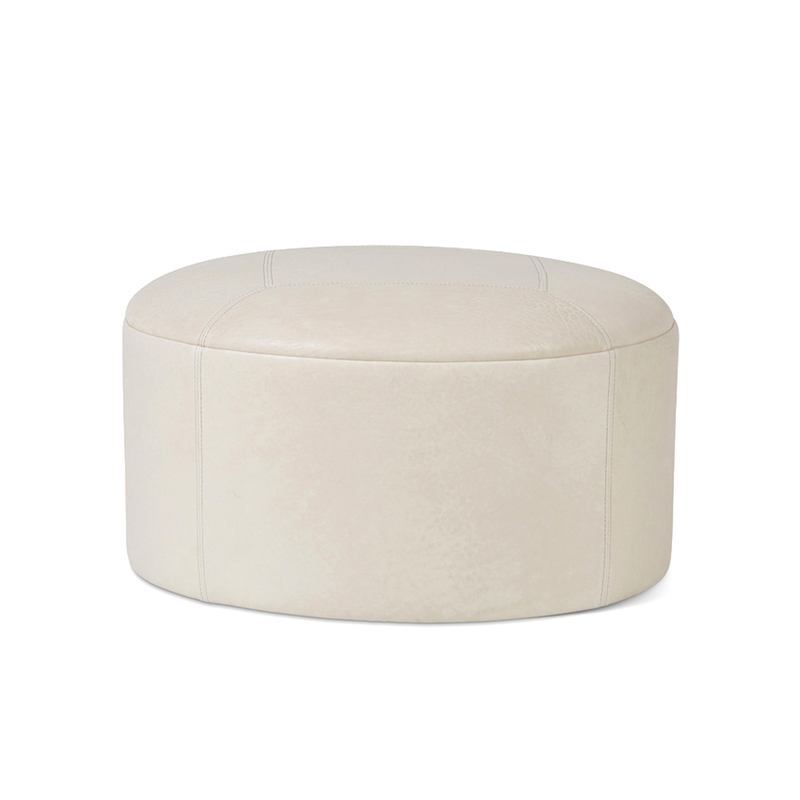 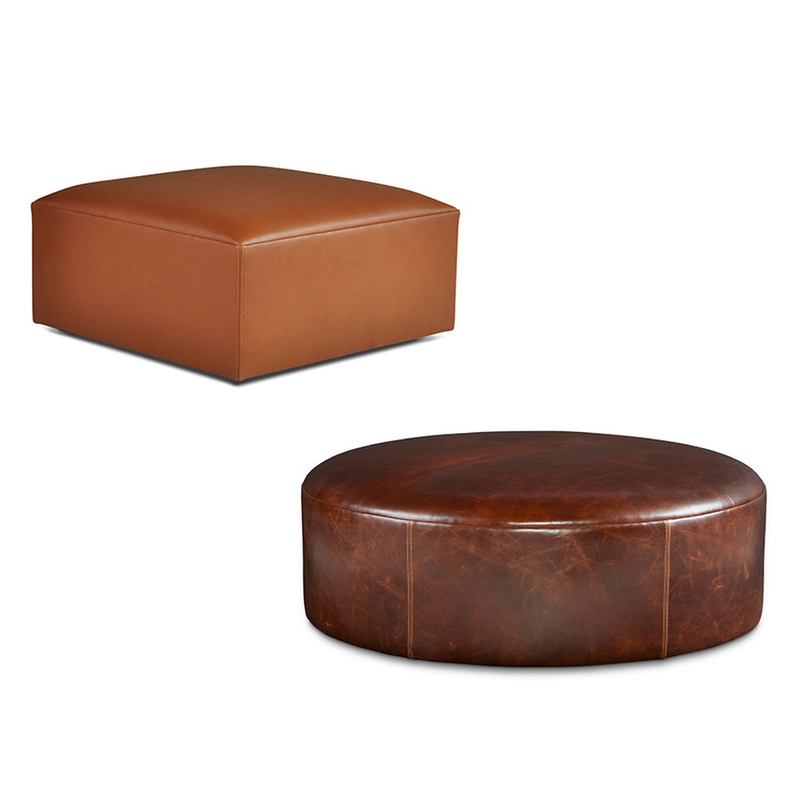 Round Eli Ottoman with special Marquis double needle stitch detail on top. 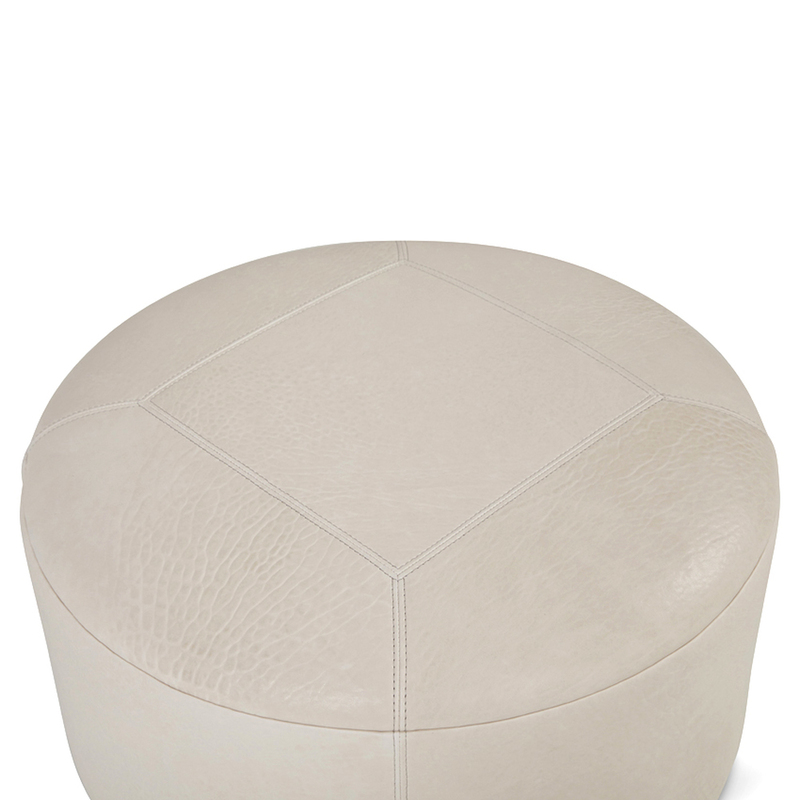 Recessed hidden legs in matte black finish. 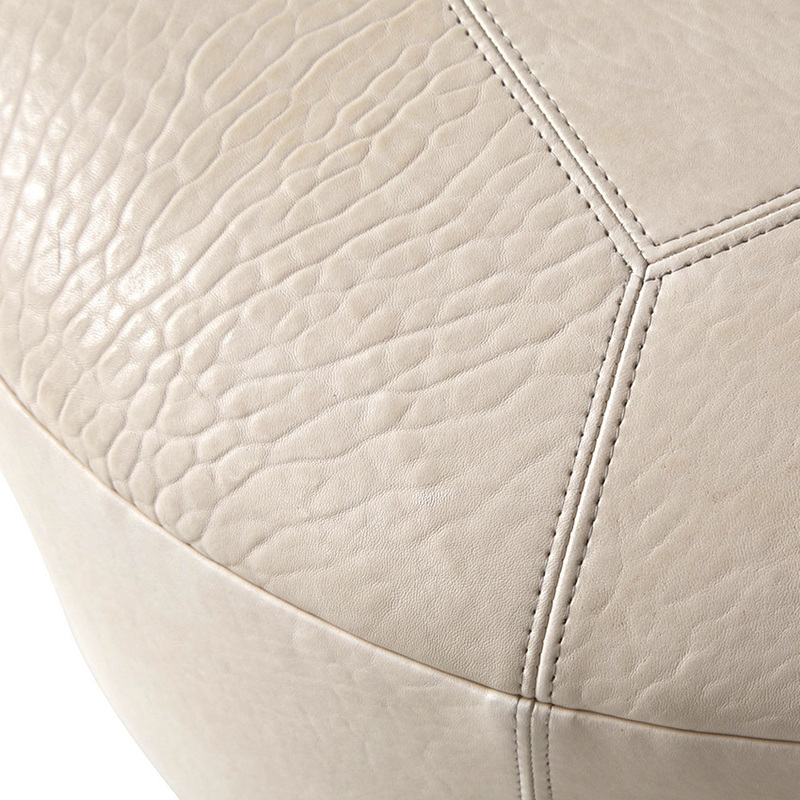 Main image shown W26" in Grade "N" Valdesa - Bone leather.